The life of an eight-year-old boy usually consists of playing video games, enjoying sports, and spending time with friends. When Michael Stolzenberg was eight, he was fighting for his life. A rare reaction to a bacterial infection turned Michael’s hands and feet black and left his body in septic shock. The only way to save his life was to amputate his hands and feet. Michael was an avid lacrosse player before the operation. But being a quadruple amputee was not going to hold him back from playing his favorite game. He walked again a year after surgery, and returned to the lacrosse field the year after that. He scored three goals in his first tournament back. Instead of using arm prosthetics, he opted to use sockets, because it was natural for him. 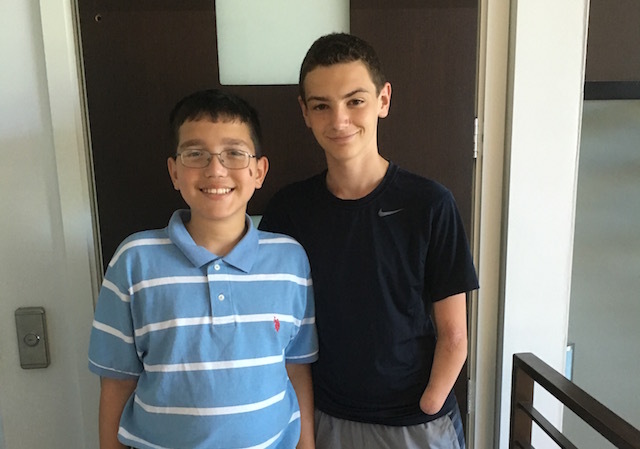 Since so many people helped Michael, he wanted to continue to pay it forward. 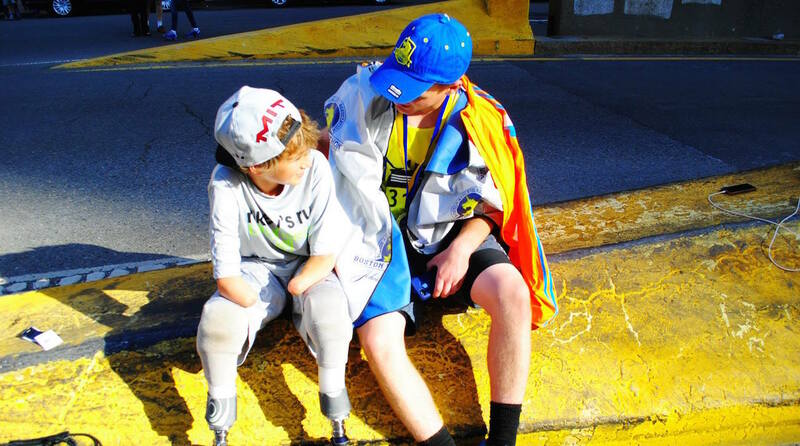 When he heard about the Boston Marathon bombings, he wanted to help. He knew some people would need amputations and sympathized. Michael and his brothers started Mikey’s Run, for which they sponsored the eldest brother, Harris, to run the next Boston Marathon. They raised $250,000, with a $100,000 donation from Oprah Winfrey. The proceeds went directly to Spaulding Rehab Hospital in Boston for outreach and community programs for the victims. In 2014, Michael was named one of America’s top ten youth volunteers. Michael is now thriving in his junior year of high school, preparing for college and getting ready for lacrosse in the spring. He is very involved in school activities and loves to play football, basketball and soccer with his friends. He is the perfect example of never giving up in the face of adversity and the true definition of a hero.